Are you ready to get serious about your music? I believe that every producer should have access to an experienced coach who can customize a unique program JUST for them. 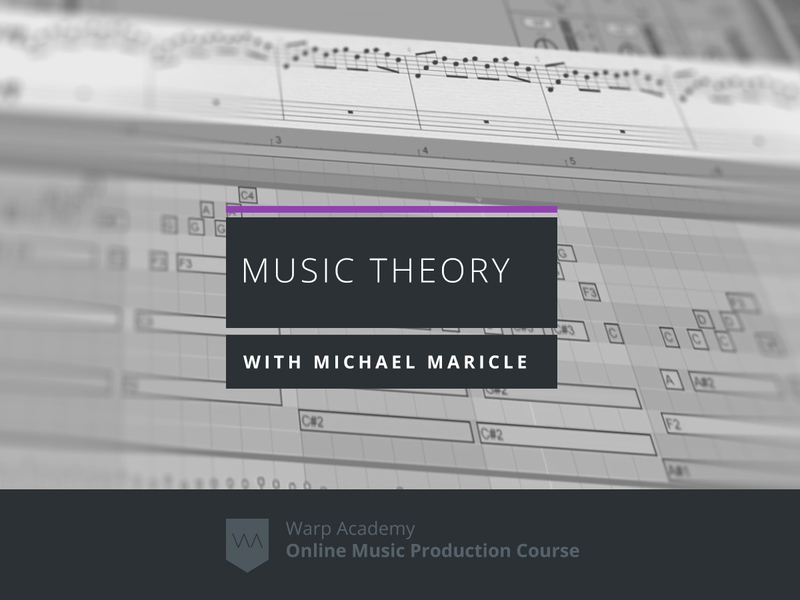 If you’re ready to take your music to the next level, then one-on-one lessons are the key. I teach a VERY limited number of students one-on-one, online, and I’m currently taking applications. We work together on your music, inside your projects, making HUGE leaps forward in every aspect of your production. The total cost of the program is split into 3 monthly payments of $499. Many of you have been asking for “the next step” to help improve and finish your music. If you’re ready to take a massive leap forward, then Accelerate One-on-One coaching is the key. What is Accelerate One-on-One Coaching? Accelerate Coaching is personally customized, one-on-one coaching with me. It’s basically us working collaboratively in the studio (virtually via the web) on the EXACT areas you want to improve the MOST. We either work on your existing project(s) or we start a new one together. We delve into sound design, synthesis, composition, chord progressions, writing better melodies, mixing and mastering. As a professional sound designer, engineer, and producer, there are a myriad of ways I can help you with your music. The Accelerate program provides coaching that is carefully tailored to your skill level, style, genre & goals. We focus on PRECISELY what you need and don’t waste time on ANYTHING that you don’t. Check out this video for some before and after examples of past students’ songs. I go ALL OUT for my Accelerate students. I give you the keys to my private library & share things that I never sell or provide anywhere else. Things like samples, synth patches, Racks & templates. I’ve even personally played sax on some students’ tracks. You’ll become way more adept at getting the most out of the sample packs and synth presets in your library. You’ll be able to create your own signature sounds from the ground up. You’ll completely up your game in the area of composition & songwriting, opening the door to better chord progressions & melodies. You’ll get faster and more organized in Live with my custom production templates & workflow pro-tips. Your mixes will be cleaner, clearer, and finally achieve that magical “something special”. You’ll gain invaluable confidence in your skills and take huge strides towards carving out your own unique sound as an artist. 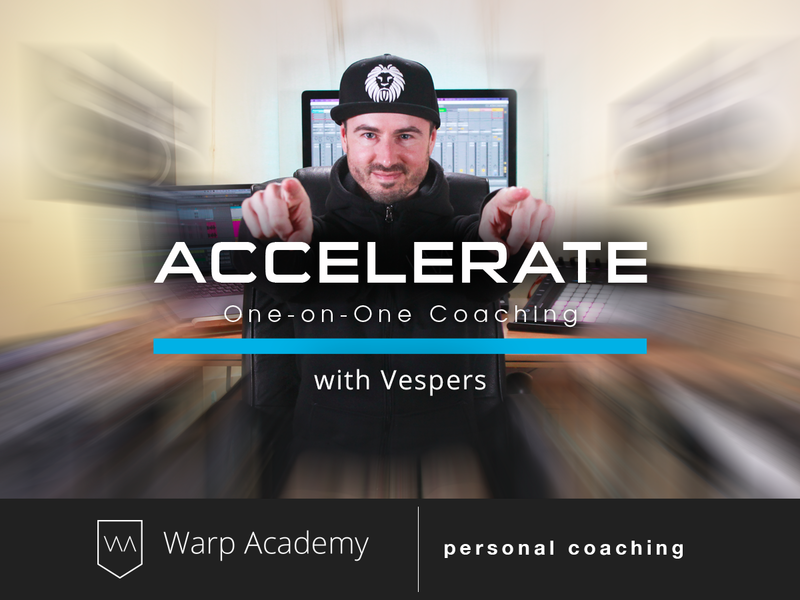 Accelerate includes 6 hours of in-depth, one-on-one coaching with me. This is done over 3 months, so there’s lots of time for you to put what we’re working on into practice in your production. If you want to continue coaching beyond 3 months, we can discuss availability and create a package. The sessions are done with a streaming video app (like Skype, but way better). You can be anywhere in the world as long as you have a reliable, broadband internet connection. Everything’s recorded so you can download our session videos to keep forever. You get to send me 3 of your tracks, as well as reference examples of producers who you admire, or aspire to sound like. I do the evaluation in my personal studio; an advanced room with sophisticated monitoring designed by an acoustician and tuned to perfection. In this environment, I’m able to listen critically & make a thorough, revealing assessment of your production. We objectively compare your music with the reference examples, identifying gaps. After hearing your music and aspirations, we discuss your goals. I’ll suggest areas of focus & we’ll customize a personally-tailored development plan, just for you. The majority of our work together is done inside your own music. You get to send me full project files and we work together inside them. Depending on your tune, I may design new sounds, engineer Racks for you, help with songwriting or do some work on the mixdown. It’s basically like I become your production partner, sitting in the studio next to you. Collaboration is also an option, and some students opt to start a fresh song with me. At the end of each session, I give you structured guidance on what to work on (kinda like homework, but more fun). It could be taking an online course to help get you ahead in a specific area, studying one of my templates, or practicing certain sound design techniques etc. This brings focus & efficiency to the process. No need to take notes! We record everything in our sessions so you can relax & enjoy. Keep these forever & know that you’ll get the most out of this work because you can review the videos as many times as you like. I give you everything we work on in the sessions so you can review, reverse engineer and learn. You get full access to the project and all the additions I’ve built into it. I open the door to my extensive personal library of Ableton Live templates, racks, samples & synth presets. You get access to tools that have taken me years to build & have been refined through experience. Rather than overwhelming you with everything, I hand pick ones that’ll benefit you & your production specifically. We set up a customized plan just for you, including a specific set of goals and objectives. You can either send me one of your existing projects to work on, or we can start something fresh. Up to you! Projects are shared back and forth using Dropbox, so you always have the updated files and we have an easy space to collaborate in. We do 6 hours of sessions over 3 months. These can be done in 1-hour blocks, twice a month, or a 2-hour block, once per month. Our first session covers the evaluation of your production, the goal-setting process and customizing your coaching plan (this takes 1-2 hours). The remainder of our time is focused on your music. If we’re working on a tune, I highly suggest doing 2-hour blocks to allow us time to get into the zone. See a video stream of my camera & computer screen with full, stereo HD audio. Select audio inputs and outputs so you can listen on headphones, and speak into a microphone to ask questions. I recommend you use iPhone style earbuds with the built-in mic to ask questions, as this prevents feedback problems that sometimes happen when you use speakers. Or if you have higher quality headphones, feel free to use them with another mic plugged into your soundcard. Reference headphones give the best results as you’ll be able to properly hear low frequencies. Each session is recorded and sent to you after we wrap up. You get to download and keep these recordings forever. Facing the next step in my career, I searched for someone who was familiar with the specifics of the electronic music business to give me some guidance. If you’re an indie or alternative rock artist, the supply for coaches covering that topic is virtually unlimited, but when it comes to electronic music, there are few to none. Vespers fills this void. We worked on a strategy on how to approach labels and created a coherent artist package with full branding. Vespers is never short of creative ideas on how to stand out amongst the crowd. He offers tons of inspiration for thinking outside the box and more importantly got me into the right mindset to face the next big challenge. He was very supportive and forthcoming. 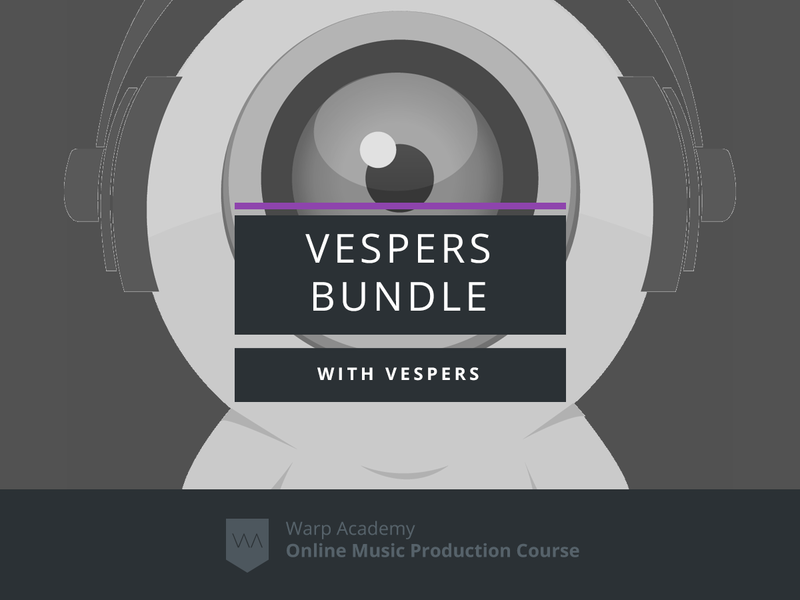 If you’re in need for a coach to guide you through a challenge, whether it be regarding sound design & production, developing yourself as an artist or career advice, then Vespers is your go-to coach. Read more about Jasper’s story here: https://vespers.ca/jasper-luetkens/. To apply, you must pay for your first session and fill out the information from the PDF provided to you. I only take on a very limited numbers of students and I accept the ones I feel I can help the most. If you aren’t accepted, you’ll be fully refunded. If you are accepted, you’ll be notified by e-mail and we’ll schedule our sessions. There are no refunds once you’re accepted. This is not a digital product, you’re paying for my time. You are required to pay for and attend all three sessions. 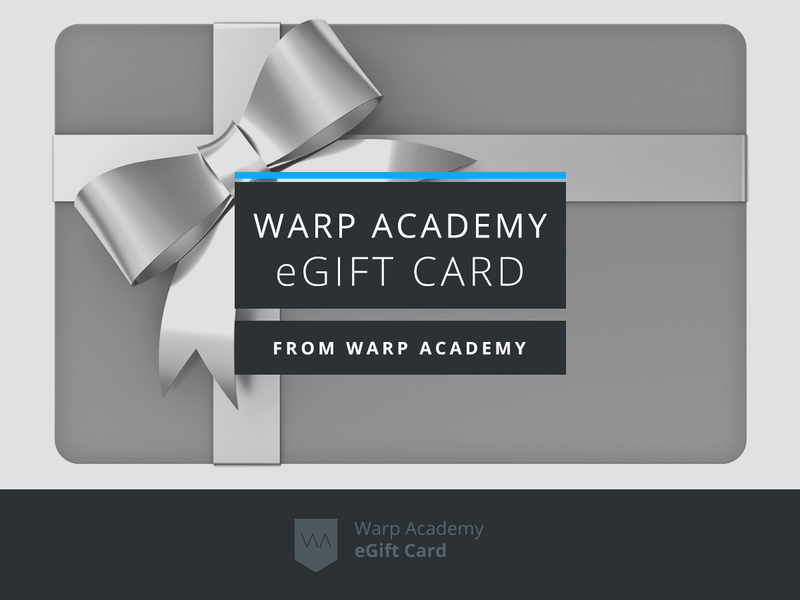 There is no option to purchase individual sessions. The Accelerate program operates with a specific set of agreements designed to maximize our time together. You must accept these agreements before proceeding with the program. In order to generate big improvements in your music, you must be up for making significant changes in your workflow, approach and attitude. Being coachable means being open, ready and willing to listen and take on the suggestions I make, and occasionally some “tough love”. It’s all for your benefit. I carefully hand-pick my Accelerate students, and I only choose to invest my limited time and energy in those that really, deeply want to improve and are ready to embrace the necessary shifts. I will respect your time by being ready for our session before it starts and I expect the same. If you are late, or no show for a session with no prior communication, there will be a $75 rebooking fee. If you are late or no show for 2 sessions, I reserve the right to cancel our coaching relationship. If you need to reschedule a session 48 hrs notice minimum is required and you are allowed to reschedule once. I am not here to be your friend or to be nice. I am here to be your coach and to get results. If you are looking for someone to tell you what you want to hear and to be complacent with you, I am not the coach for you. I am here to create radical change and improvement in your music, and sometimes that requires “tough love”. I hold myself accountable for your results, and that may require stepping outside your comfort zone. Respect our communication guidelines (listed below). For our session do your best to eliminate background noise and distractions. No cell phones. Turn your phone off (not just on vibrate) or leave it in another room. Close Facebook and other social networking sites. Do whatever else you need to do to be able to concentrate and focus. You may be tempted to take notes. This is very distracting for you and is not necessary. The session will be recorded and made available for download for you. Trying to take notes while paying attention to what I’m teaching you will only detract from your ability to learn. You can take as many notes as you want when you watch the recording later. 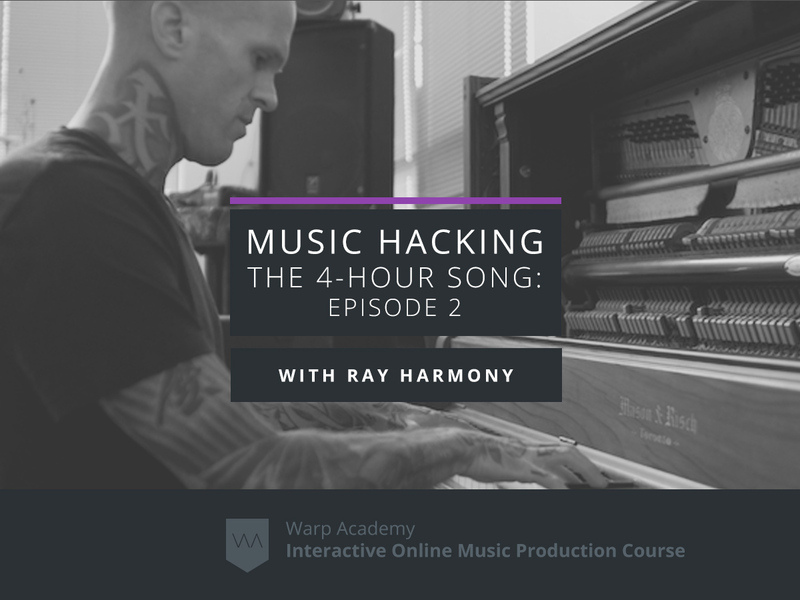 During our sessions, I’ll be sharing techniques, processes, documents, templates, samples, patches, presets, video recordings and other tools and resources. These are for you and you alone. You are not to share them, post them online, seed them on torrent or file sharing sites, or in any other way distribute these items. You are to take all reasonable precautions to prevent the theft, duplication, and sharing of these items. I answer all my e-mail personally and handle all my own scheduling. I don’t have a personal assistant or anything glamorous like that (I wish! Working on getting Iron Man to lend me Pepper Potts). In order to stay effective and get back to my students in a reasonable time, I need to keep a very “Zen” minimalist e-mail policy. If you have questions about your goals and our training, kindly save those for the scheduled session. We’ll use e-mail purely for scheduling and setting up the session. I’ll provide you with a special e-mail address used ONLY for communication with private students. Use this e-mail address, and this e-mail address only to communicate with me. Do not Facebook, Tweet, Youtube, or Soundcloud message me (even if we’re connected there and have spoken before). I simply cannot monitor all these platforms and guarantee you any kind of reasonable response time. Please do not add this address to e-mail lists, post it online, or share it with anyone. This is a strictly confidential e-mail address. Thanks for working with me on this. By following these guidelines, I can get back you faster and focus more energy on your training.